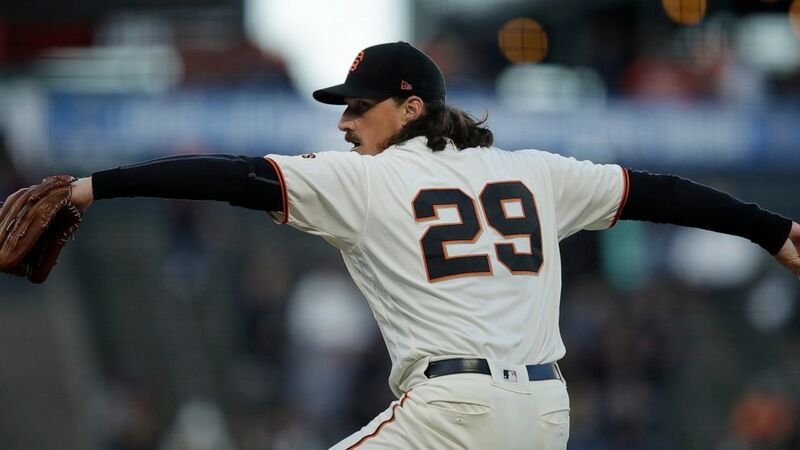 Still on a pitch count following a shoulder injury that sidelined him for the final 2 1/2 months last season, Jeff Samardzija knew he had no shot of going the distance against Colorado. Gray pitched in and out of trouble most of the night until Pillar’s home run leading off the seventh. Acquired from Toronto last week, Pillar has 10 RBIs over his last four games. San Francisco second baseman Joe Panik made a diving stop on Charlie Blackmon’s sharp liner leading off the ninth. That matched the defensive gem made in the second inning by Colorado left fielder Raimel Tapia, who made a diving grab to rob Pablo Sandoval of a hit. Rockies: 1B Daniel Murphy saw a hand specialist in Arizona, but the Rockies had yet to receive results. Murphy is out with a broken left index finger. … OF David Dahl (left side core injury) ran and played long toss in Arizona, although Black said the team plans to take a cautious approach with Dahl’s rehab.